In 1964 Bob Dylan released the song “The Times They Are a-changing” but I wonder if he ever gave thought to the speed to which some of these changes would occur or the fact that nothing is immune to change. The accounting profession and Zerobooks is no exception and we have a number of changes that we have been working on that we want to share with our partners. The first major change is a personal one. As many of you are aware I was diagnosed with cancer back in July 2016 and have been going through treatment ever since. The good news is that the dreaded “C” has been, and is being, kept in check. Like everything else in life the roller coaster of life has been a combination of 3 steps forward and 2 steps backwards at times. Life still rolled on and I managed to attend Xerocons in AU, UK and USA in 2017, got married earlier this year and managed to tick off some of our bucket list items and enjoy some views including trips to Scotland, Paris and Alaska. However, the time is now ripe for me to stand aside and let the management team we have built take over the reins and push the business forward to address the changes that are occurring within the accounting industry. So the second major change will be the appointment of a new management team to manage the business and move it forward. The role of CEO will be taken over by Sarah Rodrigo. Sarah has been our COO since 2015 and been responsible for managing our team in the Philippines and creating and maintaining the strong relationships we have built up with all our partners and clients. Since I was diagnosed with cancer Sarah has stepped into my shoes to manage and run the business while I was off air. During this time she has continued to build the business and ensure our partners and their clients needs were met as well as coping with 2 of the team taking maternity leave. Sarah is and will be supported by Angela Poole, our CTO, who has been with the business since its inception back in 2014. Angie’s role has been to design, develop and build our web site including our acclaimed integration between our web site, our customised proposal tool and to Xero XPM which achieved greater efficiencies. It also allowed us to meet our goal of providing an outsourced bookkeeping service to partners and clients around the world. Now that these initial goals have been achieved, Angie will take on the additional role of managing our IT team to focus on building our current range of App services to provide more App Advisory, Implementation and Integration services. 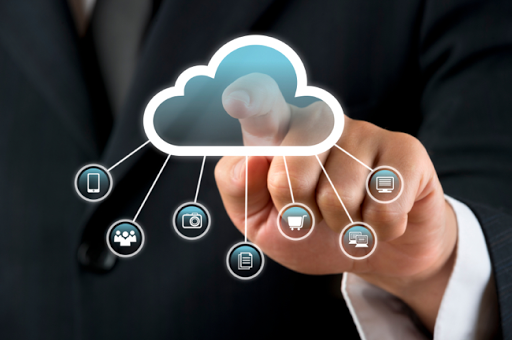 It’s clearly evident now that Cloud Accounting has become mainstream and the App Advisory services is the next growth stage of the cloud journey as clients seek to gain further efficiencies and improved profits as they build on their Cloud Accounting base. A third member of our management team is Kim Dilworth. Kim joined us from Scotland in 2015 and has the responsibility of managing our payroll team. Her role is to manage the payrolls for a number of clients and to keep abreast of payroll changes and opportunities to improve the efficiency of setting up and processing payrolls for our clients. As part of her role Kim will be investigating the use of new apps and programs to supplement the programs and processes we already utilise including Deputy, Tanda and others. The fourth member of our management team is Jo McStravick. Jo recently joined our team to support Sarah and move into the COO role. Jo’s previous experience over the last 2 years and training with Sarah will allow her to seamlessly move into this role and allow Sarah to focus on building and moving the business forward. Over the last 12 months my role has been that of a consultant managing and overseeing the transition to the new team. Come 1 January I will formally and officially finish up at Zerobooks and the Poole Group (other than the possible short term consultancies)and focus on my health and working through my bucket list which seems to be getting longer the more we have been doing! After all there are still a lot of views that are out there waiting to be seen and enjoyed. So, after joining the Poole Group 27 years ago to set up a Business Advisory division, being able to say that during this time I never completed a tax return and then establishing Zerobooks 4 ½ years ago I’d like to say thank you to all those people who have been part of my journey. Over this time the journey has been full of ups and downs, with plenty of highlights and only a few regrets but overall something I wouldn’t change if I had the choice to do it again (Except maybe the cancer bit!). The business has been basically running under the control of the management team for the last 12 months so for our partners and clients there will be no changes to the current systems and processes. I have no doubt our current team will maintain the vision, service and innovation for which Zerobooks has been known. I’d also like to take this opportunity to again thank all our partners and clients for their support and wish you all the best for your businesses going forward. In the meantime don’t forget to enjoy the view along the way and hopefully we may catch up again to share one of those views. 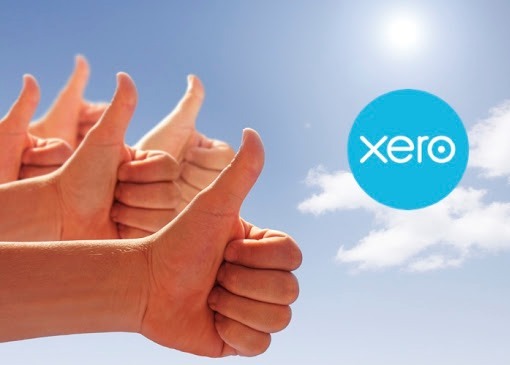 It’s great to see more and more accountants now starting to embrace the cloud and, in particular, Xero. Unfortunately many don’t step back to take in the bigger perspective of ‘the cloud’, with Xero being just one element in the mix for their clients and their own firm.